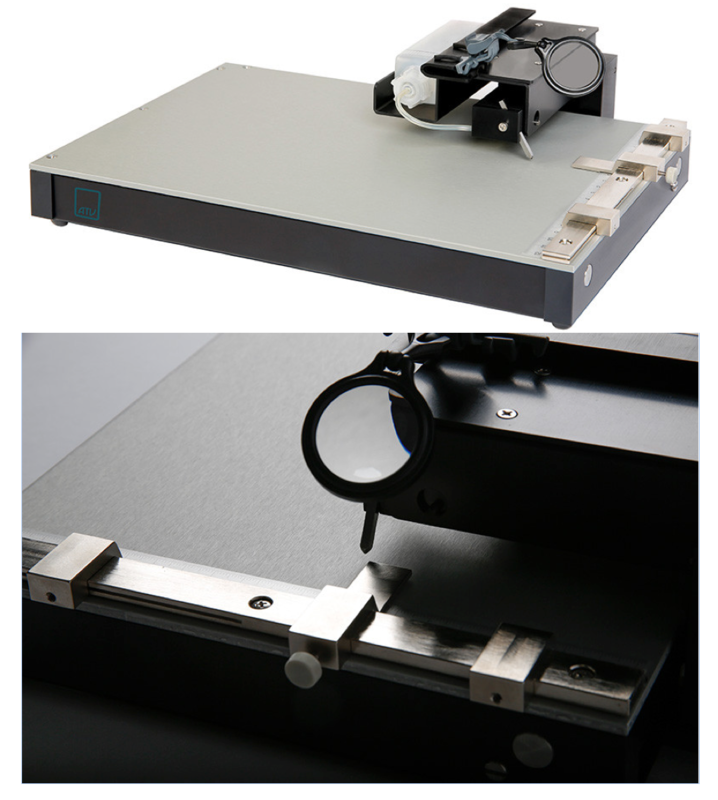 Precision diamond scriber for manual scribing with 8"-Ø, vacuum, chuck, fine adjustable in X-and Ø- digital gauge for X resolution 10µm, cross hair microscope lined up with the scribe trace to use it as a reference for further scribes. max. scribe length 220 mm, max. X travel 190 mm. 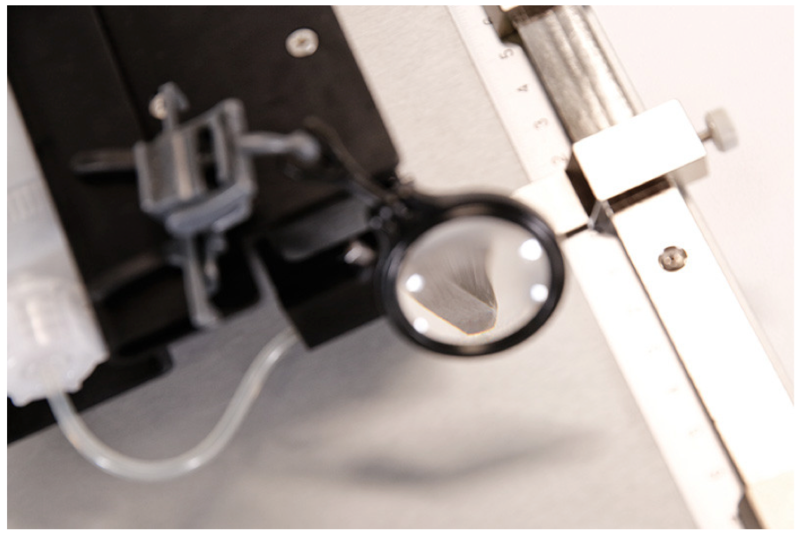 This reliable Diamond Scriber performs fast, easy and precise scribing and cutting of silicon wafers, as well as thin and thick film ceramic and glass substrates. It forms the grooves necessary for effective glass or ceramic cutting: shallow, even and continuous. All essential operating parameters - the angle of the scribing tool, the scribing force, the touchdown point and the lift up point of the tool are precisely adjustable to ensure optimal flexibility and repeatable results.